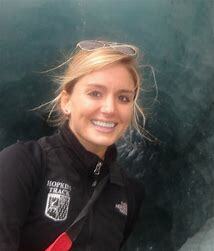 Jordan Kozal received her BS in Biology from Stanford University in 2013. Her research focuses on the role of mitochondria in the maternal and cross-generational toxicity of polycyclic aromatic hydrocarbons, with important applications in organismal ecological fitness and insights into human disease etiology. The potential for polycyclic aromatic hydrocarbons (PAHs) to have effects across generations is an emerging concern in both wildlife and human health; however, the underlying mechanisms are poorly understood. This talk will focus on mitochondrial contributions to the maternal and cross-generational toxicity of PAHs. Specifically, I will discuss how PAH-induced changes in mitochondrial function and metabolic plasticity persist in at least two generations removed from an original exposure, and how organisms experience cross-generational reductions in fitness and trade-offs in multiple stressor scenarios.